Toronto's Tyler 'Hungry T' Hewson emerges from the shadows with his first full debut single on Digital Roots with two seismic slices of ageless rave. 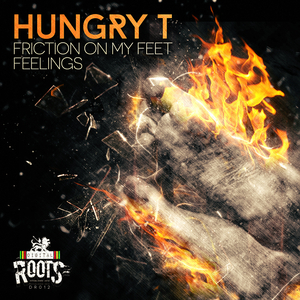 "Friction On My Feet" works around a classic piano hook with big drone bass groans and amens so finely diced you can barely recognise them. "Feelings" takes on an even more authentic jungle twist as a classic Keke Wyatt vocal wraps itself around bellowing subs and rolling skippy breaks. Timeless.